When Tanya Phillips noticed strangers whispering and staring at her daughter’s large birthmark in the supermarket, she was heartbroken. But then she and her husband did something incredible to make sure their little girl will always know how special she is. Many parents pay lasting tribute to their children by inking their names on their bodies. 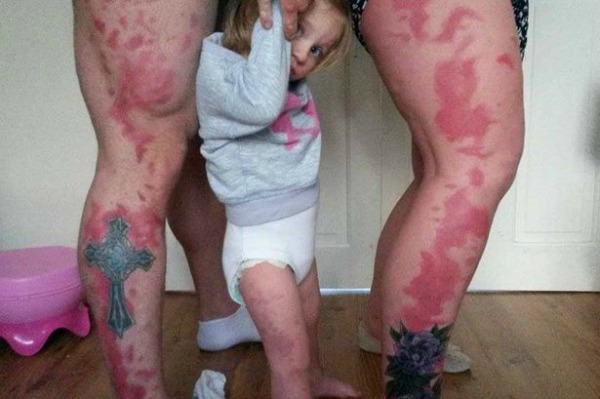 Tanya and husband Adam went much further – they both got tattoos that match the red birthmark than spans the right side of 18-month-old Honey-Rae’s body, from her toes to her lower back. Tanya paid for her husband to have the duplicate birthmark tattooed on his body at Christmas and he returned the favour for her 40th birthday last week. It took four hours and was extremely painful, but for Tanya it was worth every second. The couple, who have three other children, have tried to teach their young daughter that the birthmark is nothing to be ashamed of, but they knew other people won’t always see it that way. Tanya says she was concerned about how this would affect her daughter growing up, especially at school where children can be unintentionally mean. And the gesture already means the world to Honey-Rae. 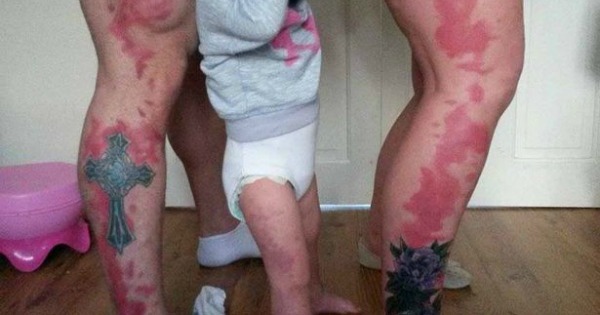 When she saw them on her parents’ leg, she smiled proudly and said “match” as she pointed to her own leg. 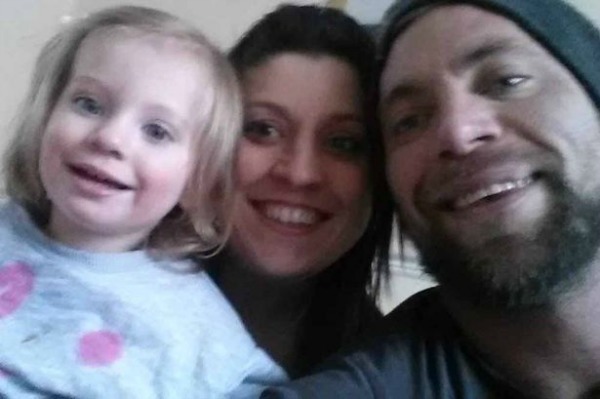 Tanya says Honey-Rae “constantly touches mine and Adam’s tattoos, then her own birthmark and giggles”. “If I’d have needed any reassurance that I’d made the right decision, that was it,” she says. Honey-Rae will most likely have the markings for the rest of her life. Her parents hope their tattoos will help her realise she is beautiful and special, not different or alone.